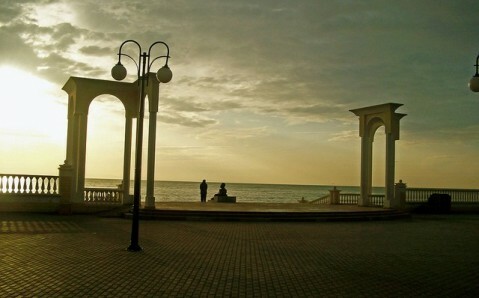 Yevpatoria is not only a well-known known Crimean resort, but also one of the most ancient and beautiful cities in all of Ukraine. Golden sand beaches, clear seas, unique therapeutic mud and mineral waters, as well as a collection of architectural and historic landmarks have made it famous far beyond the peninsula. Yevpatoria differs from the other resorts due to its abundance of natural remedies. 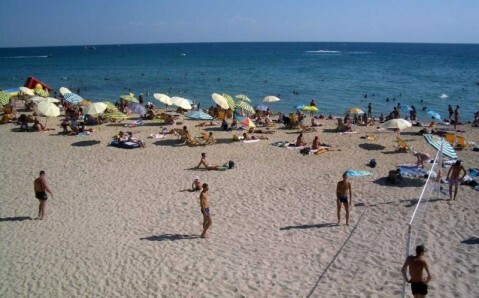 It is one of the sunniest cities of the Crimea, combining the sea and steppe climates. 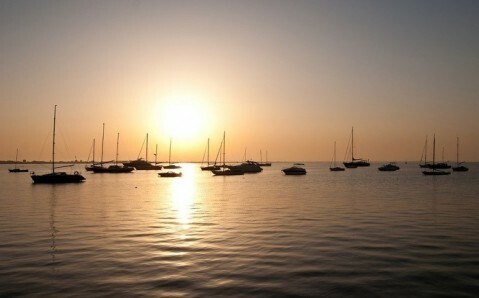 In addition to this, Yevpatoria is famous for its lakes and estuaries, whose mud and water have curative properties. The nature’s riches have led to the opening of dozens of health centers, mud clinics, sanatoriums, and camps. Up to a million people come here each year for rest and treatment. This amazing place on western cost of the Crimean peninsula was discovered two and a half thousand years ago by the Greeks, who built a settlement here. The settlement, named Kerkinitis, existed for only a few centuries; fragments from its past can be seen in the excavations taking place in center of the city. In the Middle Ages, the Turks, who captured the Crimean land, built on this ground the city-fortress Kezlev, which later became an important trade center. It is only in the 19th century that the city started to position itself as a resort, after the Russian Empire took hold of the region. The name, again, changed: the Empress Catherine the Second renamed Kezlev to Yevpatoria, after Eupator Dionysius, the king of Pontus, who helped the citizens of ancient Kerkinitis in their fight against Scythians. The Turkish period left the biggest imprint on the city. It was during their rule - in the 16th century – that one of the main architectural gems on the peninsula was built, the Juma-Jami Mosque. It is the only multi-domed mosque in Europe, recognized today as a monument of international significance. This building was designed by the infamous Turkish architect Sinan, who, among many other feats, created the Blue Mosque in Istanbul. Not far from Juma-Jami is the Gate of the Wooden Bazaar, the first gate to the ancient city, built in the 15th century. It lasted for 500 years, and in its place now stands the new gate, an exact replica of its predecessor. In the gate tower are a traditional cafe and a museum, whose main exhibit is a unique model of the Kezlev Fortress. One more original sample of Muslim architecture has survived in Yevpatoria since Ottoman times: the Tekie Dervishes (Abode of Dervishes). It is a former monastery of wandering monks - the followers of one of Islam’s most mysterious branches, Sufism. The Tekie Dervishes is the only Muslim monastery that has survived on Crimean territory in its original form. The 18th century established historic and architectural landmarks in the city that are no less interesting than their predecessors. How magnificent is the Karaite Kenasa - the temple complex of Crimean Karaites, one of the most interesting and unique peoples on the planet! The complex is made up of amazingly beautiful buildings, the Large kenasa and the Small kenasa, which were erected in place of a crumbling Karaite temple. Now, the complex is occupied by the Museum of Karaite Culture. 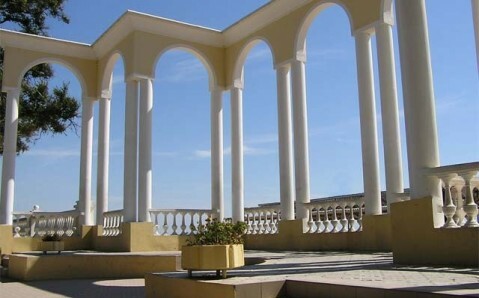 Yevpatoria wins the hearts of its numerous guests with its endless possibilities. But its real charm lies in the genuine hospitality and warmth of the city’s denizens, regardless of the season! Touted by local tour operators as a mini-Jerusalem, Yevpatoriya lures visitors with its Muslim, Christian and – most intriguingly – Karaite places of worship. For history buﬀs, it is worth knowing that the Allied forces landed here at the start of the Crimean War before moving on to besiege Sevastopol.